Kayaking in Costa Rica is a great experience. Explore the rivers, oceans and the areas where cars cannot go. 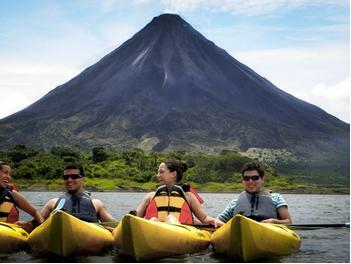 Enjoy kayaking in a natural environment on lakes, marsh, bays and in open sea along the beautiful coast of Costa Rica fill with tropical bird species. The excursion provides the opportunity for people to see places that you cannot go by foot and see natural habitat that people rarely see. 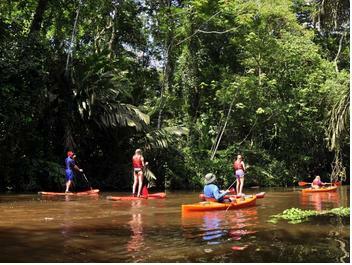 Traveling through the jungle in a kayak will be an experience you will never forget. Quietly paddle through the jungle, across a placid lake with an active volcano in the foreground or along the sparkling sea's coastline. 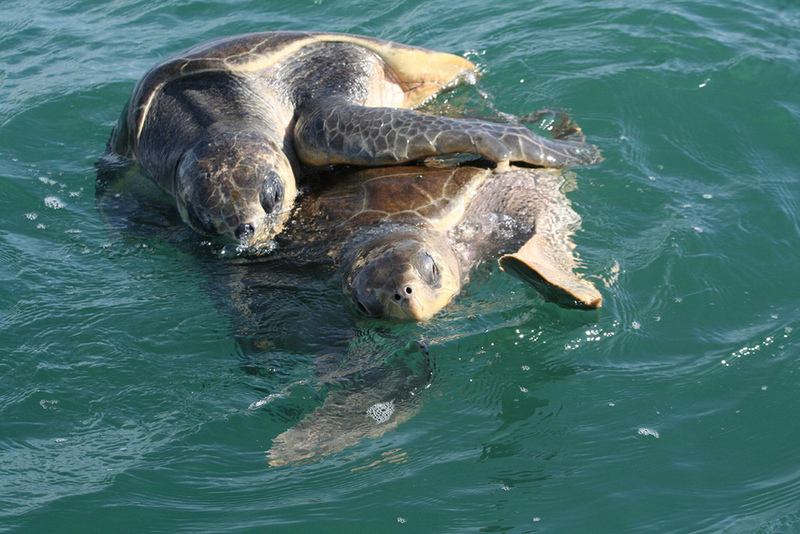 Whichever kayak trip you choose, you will be surrounded by the incredible beauty of Costa Rica’s wildlife and scenery. Cliffs, volcanoes, monkeys, caiman, and birds of all varieties await. This Kayak trip begin at low tide as the waves go to one side of the Tombolo or better known as the Whale’s Tail, which is one of the best spot for snorkeling in Costa Rica and at the Ballena Marine National Park. You will paddle to this point for 30 to 45 minutes, depending on your experienced. As paddling to one of the best Costa Rican reefs you will enjoy a magnificent view of the mountains and the coast of Costa Ballena and Uvita.